to help Stacy achieve this stunning smile. severely stained. 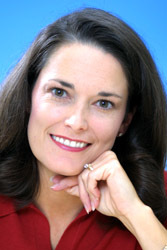 Dr. Beasley used ten veneers on her upper teeth to transform her smile. Why do people come to Dr. Beasley from all over Alabama for porcelain veneers? It's because of his strong reputation for beautiful cosmetic dentistry. His work has won numerous awards in international Smile Gallery competition. Click here to read more about his award-winning cosmetic dentistry. They are extremely thin pieces of porcelain that are bonded to your natural teeth. 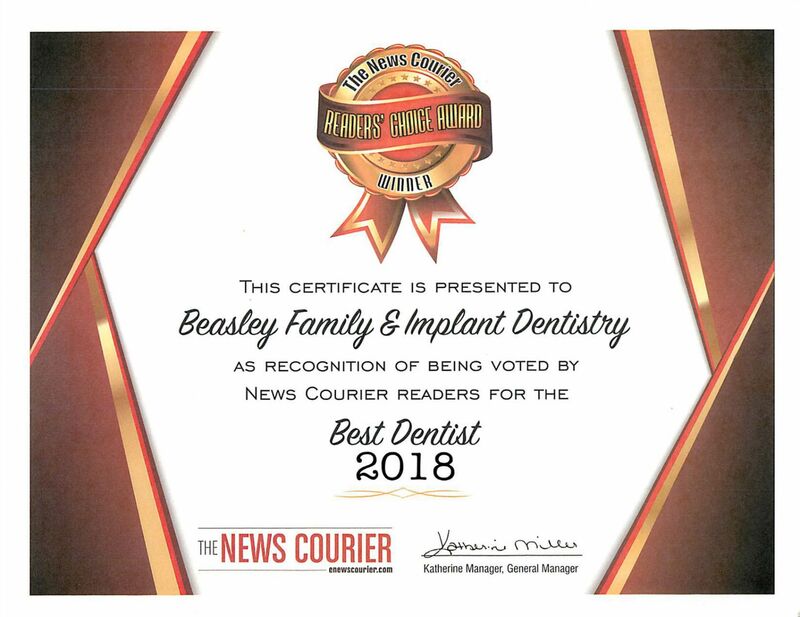 When placed by an expert cosmetic dentist like Dr. Beasley, they yield incredibly beautiful results, and can last a lifetime. If properly maintained, they are as durable as your natural teeth. 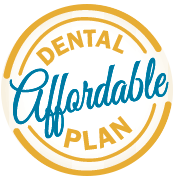 They are currently one of the most popular choices for cosmetic dentistry patients, and could be considered one of the most versatile tools in a cosmetic dentist's arsenal. 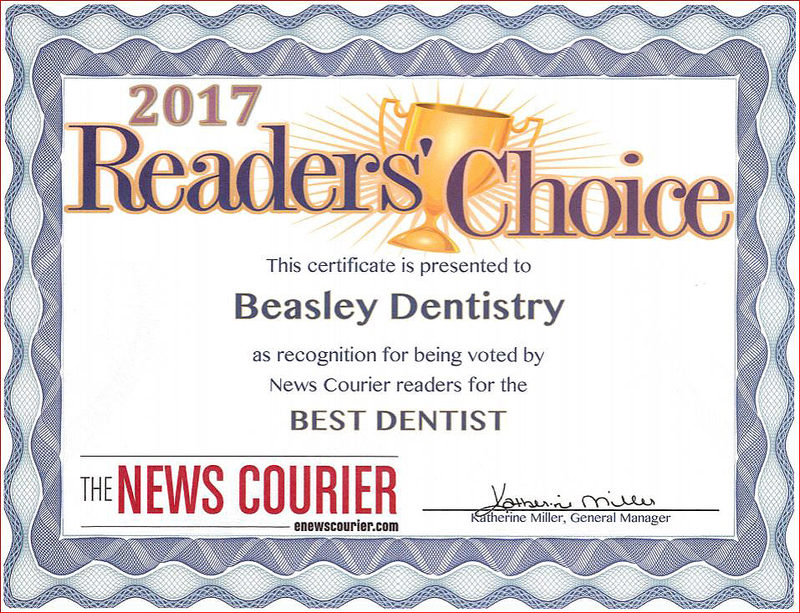 One way Dr. Beasley can use them is to straighten your teeth and correct spacing issues without time-consuming orthodontics. Click here to see how Dr. Beasley achieved stunning results as he corrected size and spacing issues for one of his patients. They can also be used to whiten teeth that will not respond to other teeth whitening methods. Some types of stains on teeth (such as stains from childhood use of the antibiotic tetracycline) simply will not respond to tray or laser whitening methods. Using porcelain veneers to give you whiter teeth has several advantages. First, the color is totally predictable, and there is no limit to the amount of whiteness. Bleaching, while it produces stunning results, has its limitations. Second, while you are whitening your teeth, you can correct other issues, such as the shapes of your teeth, chips in your teeth, or your smile design. Whitening only makes your teeth whiter. There are few limits to what you can accomplish with porcelain veneers. You can revitalize worn and chipped teeth, you can make them dazzling white, you can choose your own smile style. They can truly give you that dazzling, "Hollywood smile" you've always dreamed of. Most dentists choose dentistry because they like to fix things. And when they graduate from dental school, they're trained to be "engineers of the mouth." Their natural tendencies aren't necessarily artistic. But some dentists become truly passionate about appearance-related dentistry because they love the artistic aspects of their work. Dr. Beasley is that kind of dentist. And he has excelled in his artistic dentistry, winning many awards. Every year for a number of years, the American Academy of Cosmetic Dentistry has held what it has called its International Smile Gallery competition. Dentists submit photos of their work. A panel of judges views this work after all identifying information about the dentist has been hidden from them, and then they award gold, silver, and bronze medals. 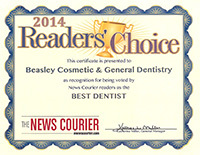 Dr. Beasley is a four-time gold medal winner in this competition, and has also won silver and bronze medals. We are lucky in Alabama to have a cosmetic dentist with such artistic skills. Call toll free today at or click to set up an appointment for a free cosmetic consultation.